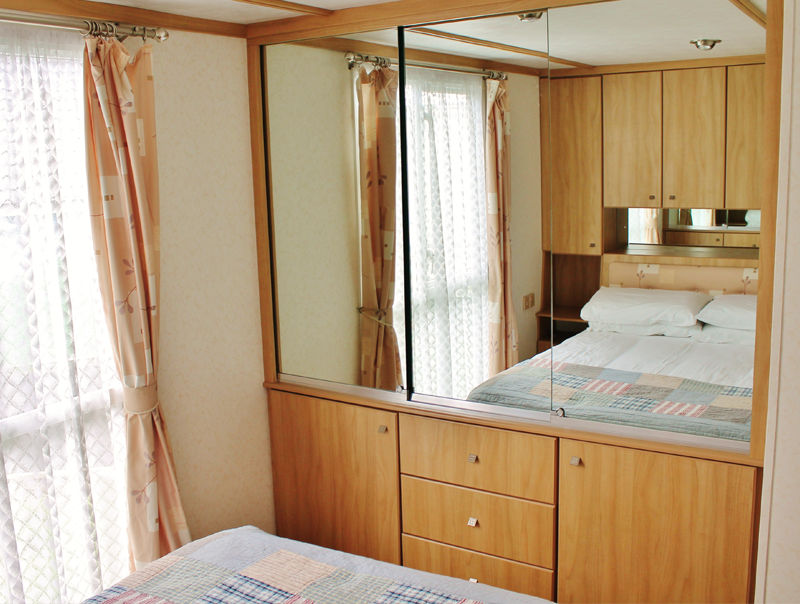 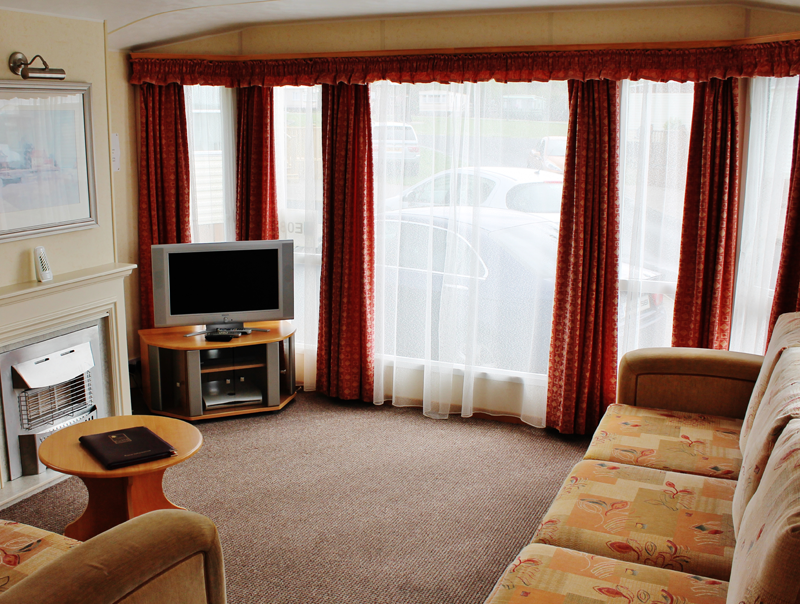 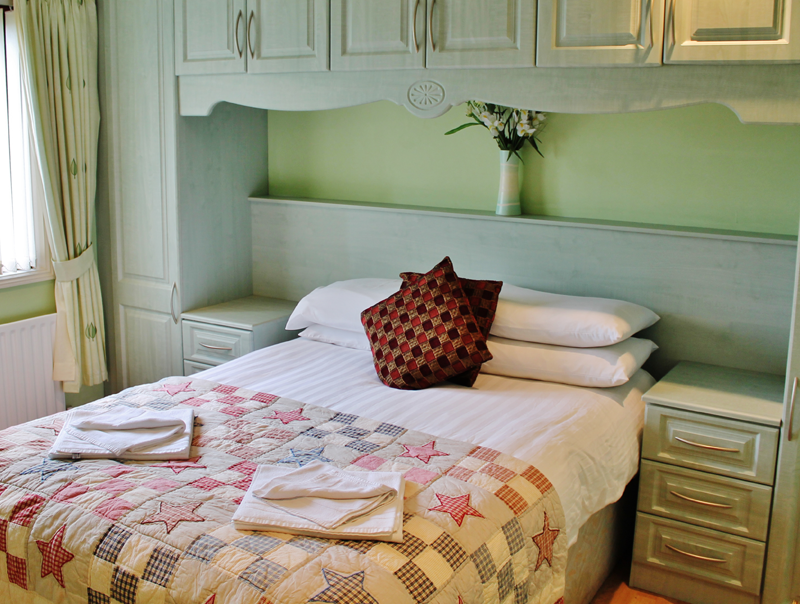 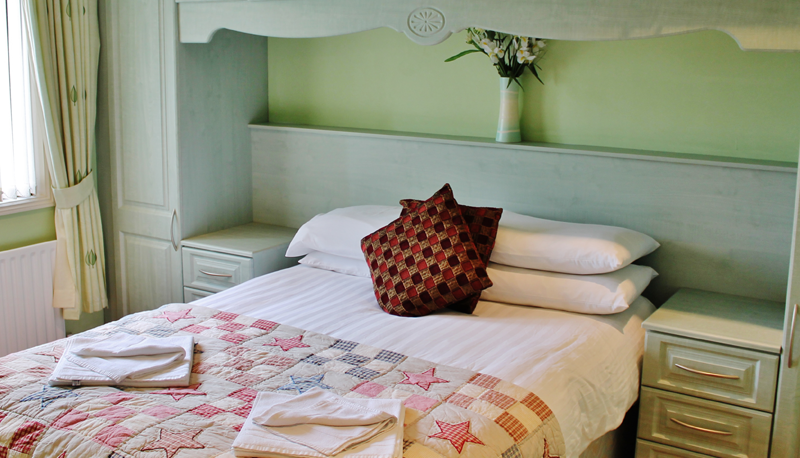 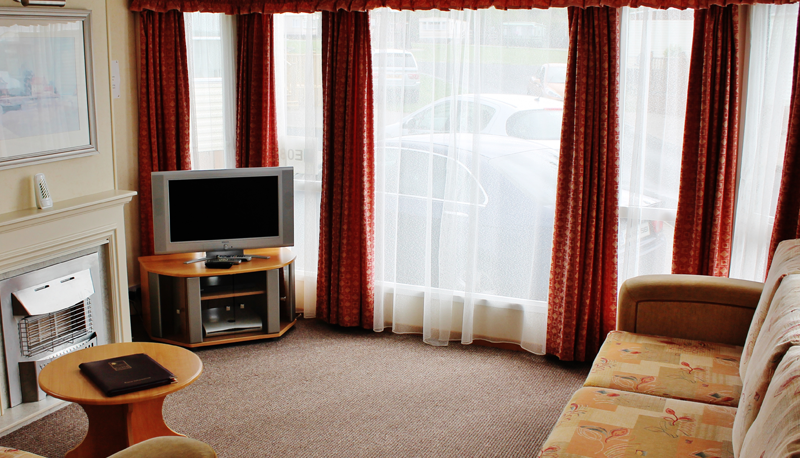 A 3 bedroom deluxe mobile has one double room and two twin rooms. 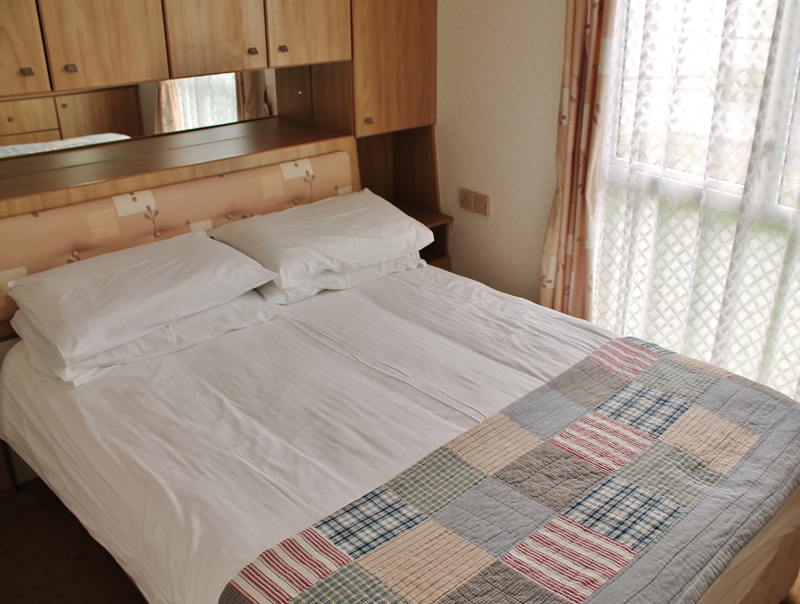 This accommodation sleeps a maximum of 6 people. 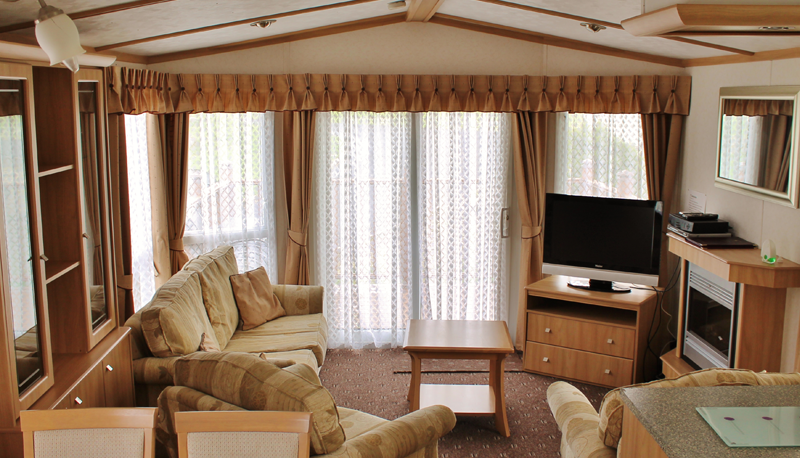 There is also a bathroom and shower area, open plan dining and lounge area with a TV and DVD player and a fully equipped kitchen (with cooker, microwave, kettle, toaster and fridge with ice compartment and full cooking utensils). 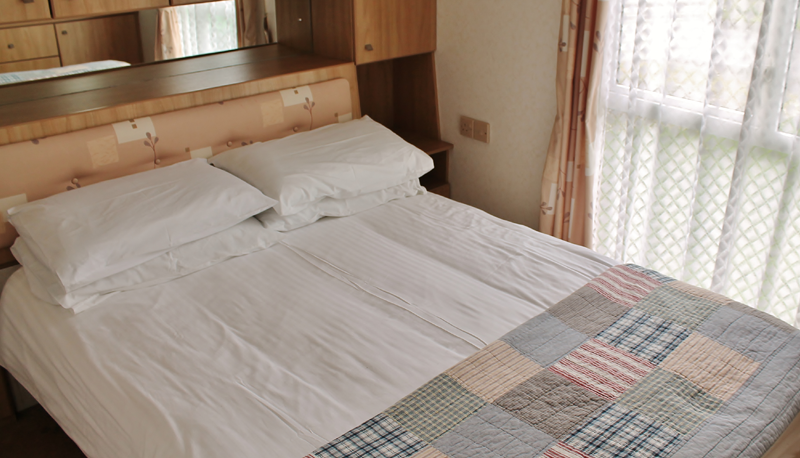 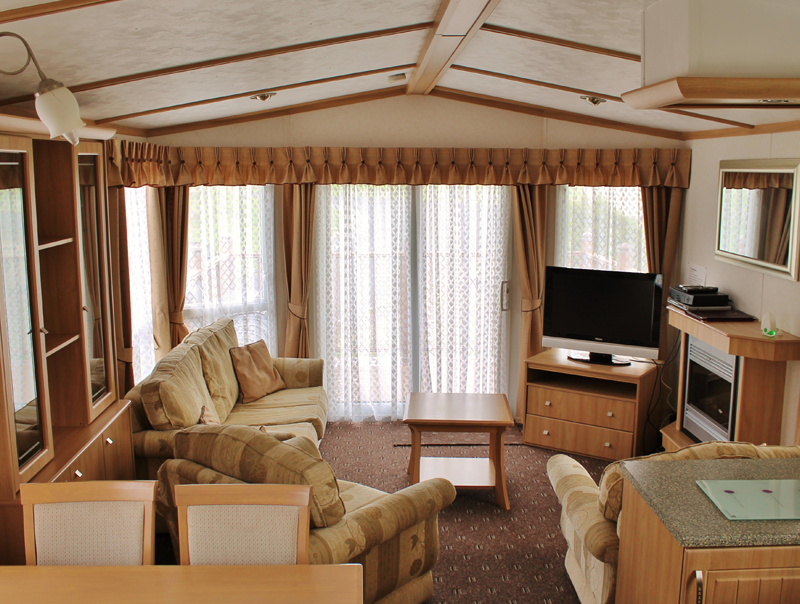 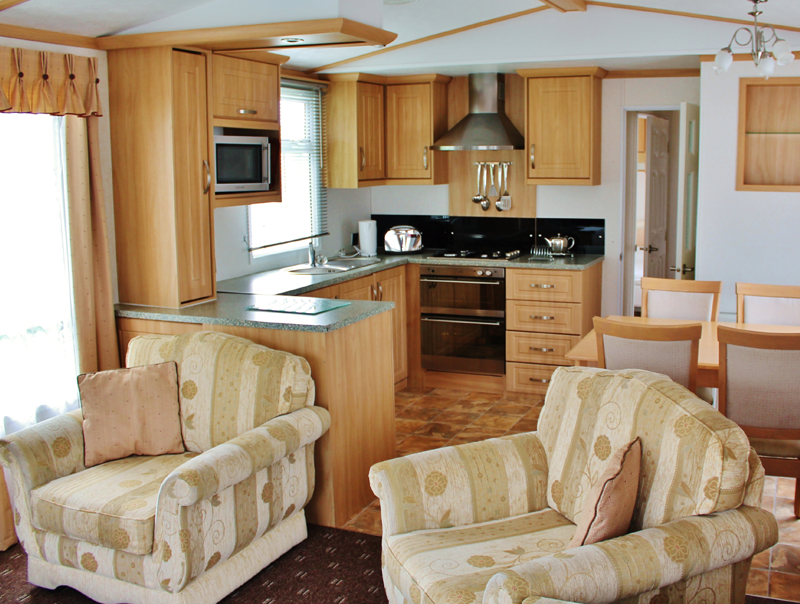 Our range of 2 or 3 bedroom mobile homes offer great facilities and comfort whatever your budget. 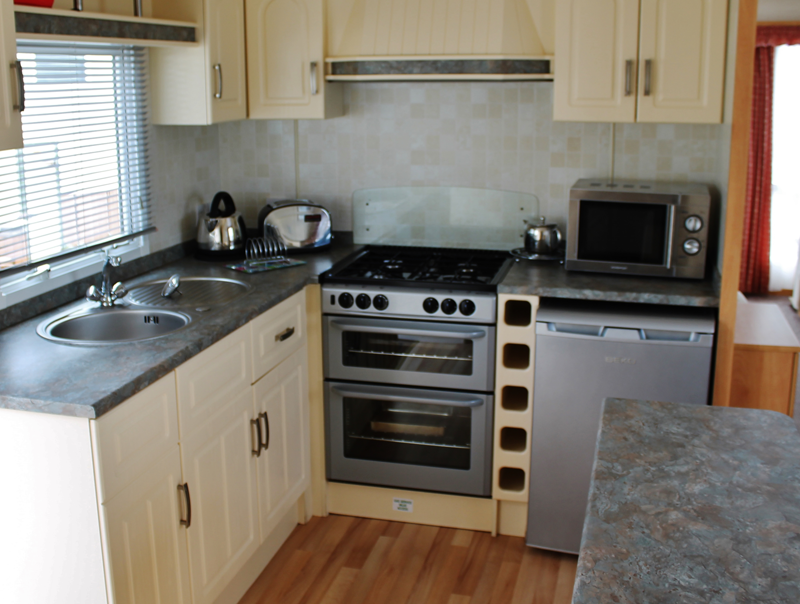 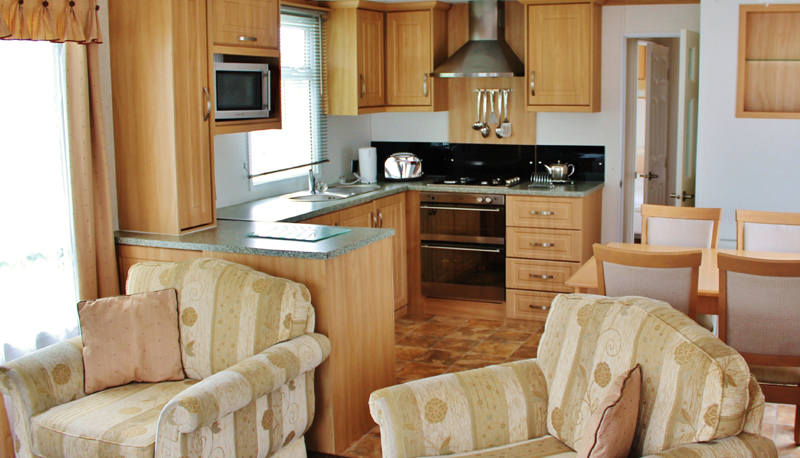 All our mobile homes have an open plan kitchen with either a centre or end lounge. 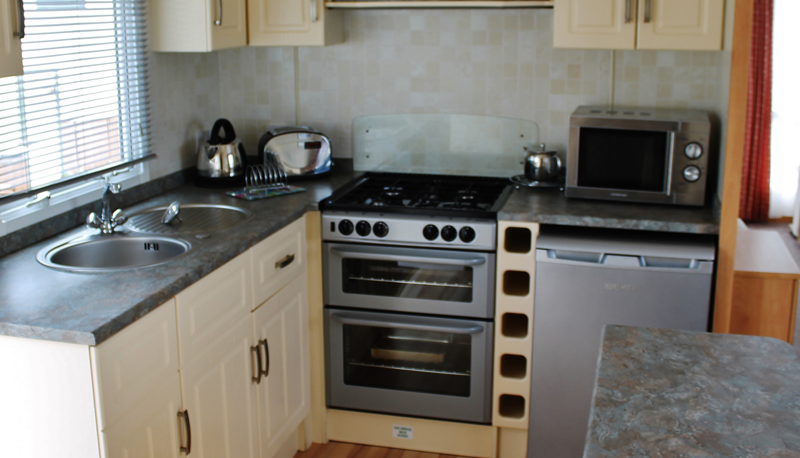 Catering for your family’s needs is easy as there is ample storage and the kitchens are fully equipped with everything you need. 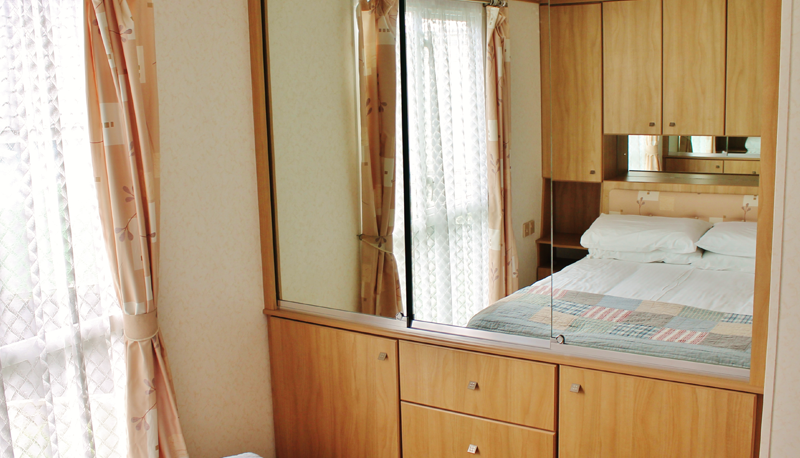 Mobile homes vary depending on their size, layout etc – depending on their size, layout, interior décor, specifications and age but whatever you choose all our mobile homes offer a high standard of comfort and facilities and represent excellent value for money.